Global climate change, fueled by skyrocketing levels of atmospheric carbon dioxide, is siphoning oxygen from today's oceans at an alarming pace - so fast that scientists aren't entirely sure how the planet will respond. Their only hint? Look to the past. In a study published recently in the journal Proceedings of the National Academy of Sciences, researchers from Florida State University did just that -- and what they found brings into stark relief the disastrous effects a deoxygenated ocean could have on marine life. 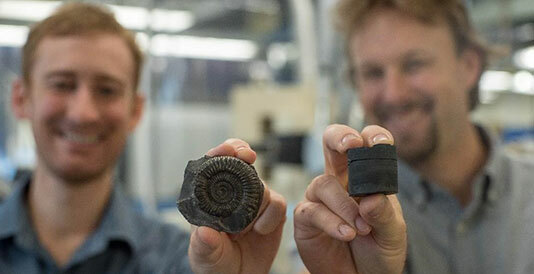 Millions of years ago, scientists discovered, powerful volcanoes pumped Earth's atmosphere full of carbon dioxide, draining the oceans of oxygen and driving a mass extinction of marine organisms. "We want to understand how volcanism, which can be related to modern anthropogenic carbon dioxide release, manifests itself in ocean chemistry and extinction events," said study co-author Jeremy Owens, an assistant professor in FSU's Department of Earth, Ocean and Atmospheric Science. 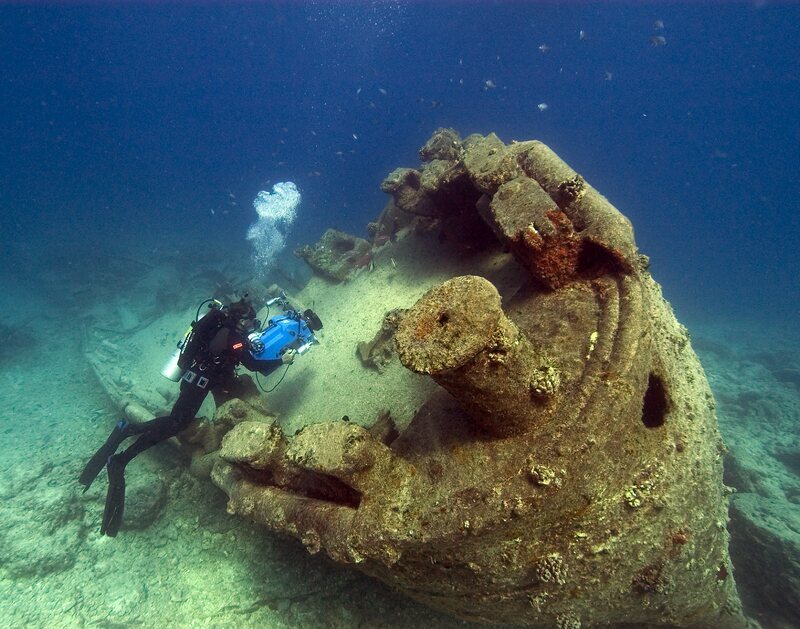 "Could this be a precursor to what we're seeing today with oxygen loss in our oceans? Will we experience something as catastrophic as this mass extinction event?" The U.S. Gulf Coast is a complex, dynamic region where natural processes and human activities are deeply intertwined. As sea levels rise, severe weather intensifies, and the population continues to grow, this coupled natural-human coastal system is under increasing pressure from environmental stressors. 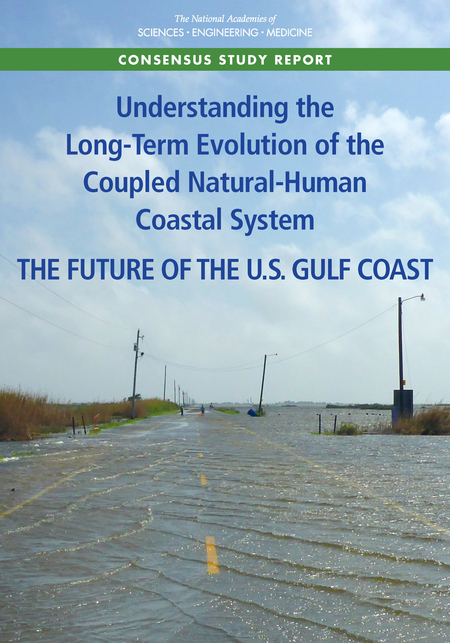 A NAS new report identifies critical knowledge gaps where research is needed to increase understanding of the interactions between human and natural processes along the Gulf Coast, along with a research agenda and strategies to help address these gaps. The report also presents barriers to effective communication between scientists and stakeholders and opportunities to address these barriers. More >>. The editorial boards of the South Florida Sun Sentinel, Miami Herald and Palm Beach Post, along with WLRN Public Media are collaborating to address the threat South Florida faces from sea-level rise through a series of newspaper editorials, reports, roundtable discussions, and other community engagement events. Visit TheInvadingSea.com to learn more. Mark E. Luther at the College of Marine Science, University of South Florida (USF) has received an award from the Tampa Bay Estuary Restoration Fund to examine the environmental conditions causing sewer and storm water overflows in the Tampa Bay region, and to develop a risk model for these events based on precipitation and storm surge records. The model will be used to predict future probability of overflow events under accepted sea level rise scenarios. Co-PIs on the proposal are Steven D. Meyers (USF, College of Marine Science) and Shawn Landry (Director, USF Water Institute). The Geological Society of America (GSA) Fellowship is an honor bestowed on the best of the profession by election at the spring GSA Council meeting. 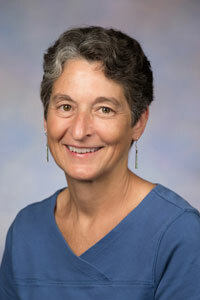 GSA members are nominated by existing GSA Fellows in recognition of their distinguished contributions to the geosciences through such avenues as publications, applied research, teaching, administration of geological programs, contributing to the public awareness of geology, leadership of professional organizations, and taking on editorial, bibliographic, and library responsibilities. 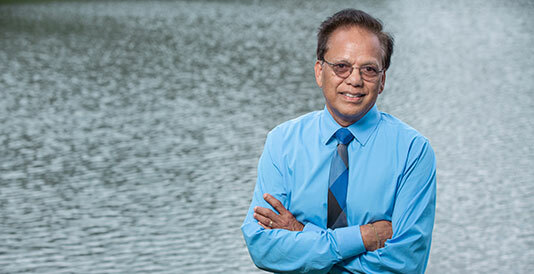 Michael C. Sukop (Florida International University). Florida's Climate: Changes, Variations, & Impacts provides a thorough review of the current state of research on Florida's climate, including physical climate benchmarks; climate prediction, projection, and attribution; and the impacts of climate and climate change on the people and natural resources in the state. The book is available for purchase in paperback and Kindle format at Amazon.com. Individual chapters may be accessed on the FCI website. FCI affiliates and/or authors from FCI member universities are in bold. Arias, M. E., Lee, E., Farinosi, F., Pereira, F. F., & Moorcroft, P. R. (2018). Decoupling the effects of deforestation and climate variability in the Tapajs river basin in the Brazilian Amazon. Battisti, R., Sentelhas, P. C., & Boote, K. J. (2018). Sensitivity and requirement of improvements of four soybean crop simulation models for climate change studies in Southern Brazil. Int J Biometeorol, 62(5), 823-832. Biasutti, M., Voigt, A., Boos, W. R., ... Mapes, B. E., et al. (2018). Global energetics and local physics as drivers of past, present and future monsoons. Nature Geosci, 11(6), 392. Breyer, B., Zipper, S. C., & Qiu, J. (2018). Sociohydrological Impacts of Water Conservation Under Anthropogenic Drought in Austin, TX (USA). Water Resour. Res., 54(4), 3062-3080. Drury, C., Paris, C. B., Kourafalou, V. H., & Lirman, D. (2018). Dispersal capacity and genetic relatedness in Acropora cervicornis on the Florida Reef Tract. Coral Reefs, 37(2), 585-596. Dvorak, A. C., Solo-Gabriele, H. M., Galletti, A., Benzecry, B., Malone, H., Boguszewski, V., et al. (2018). Possible impacts of sea level rise on disease transmission and potential adaptation strategies, a review. J Environ Manage, . García, P. E., Menénendez, A. N., Podestá, G., Bert, F., Arora, P., & Jobbágy, E. (2018). Land use as possible strategy for managing water table depth in flat basins with shallow groundwater. International Journal of River Basin Management, 16(1), 79-92. Gintert, B. E., Manzello, D. P., Enochs, I. C., Kolodziej, G., Carlton, R., Gleason, A. C. R., et al. (2018). Marked annual coral bleaching resilience of an inshore patch reef in the Florida Keys: A nugget of hope, aberrance, or last man standing? Coral Reefs, 37(2), 533-547. Gordon, T.A.C., H.R. Harding, F.K. Clever, ... A.R. Harborne, et al. (2018). Fishes in a changing world: learning from the past to promote sustainability of fish populations. Journal of Fish Biology, 92, 804-827. Hedberg, T. (2018). Climate Change, Moral Integrity, and Obligations to Reduce Individual Greenhouse Gas Emissions. Ethics, Policy & Environment, 21(1), 64-80. Holmes, C. D. (2018). Methane Feedback on Atmospheric Chemistry: Methods, Models, and Mechanisms. J. Adv. Model. Earth Syst., 10(4), 1087-1099. Jeong, A., Lee, J. I., Seong, Y. B., Balco, G., Yoo, K. - C., Yoon, H. I., Domack, E., et al. (2018). Late Quaternary deglacial history across the Larsen B embayment, Antarctica. Quaternary Science Reviews, 189, 134-148. Jisan, M. A., Bao, S., Pietrafesa, L. J., Shen, D., Gayes, P. T., & Hallstrom, J. (2018). Hurricane Matthew (2016) and its impact under global warming scenarios. Model. Earth Syst. Environ., 4(1), 97-109. Leorri, E., Zimmerman, A. R., Mitra, S., Christian, R. R., Fatela, F., & Mallinson, D. J. (2018). Refractory organic matter in coastal salt marshes-effect on C sequestration calculations. Sci Total Environ, 63, 391-398. Li, D., Monahan, W. B., Baiser, B., & MacIsaac, H. (2018). Species richness and phylogenetic diversity of native and non-native species respond differently to area and environmental factors. Divers Distrib, 24(6), 853-864. Liu, J., Wang, Y., Wang, Y., Guan, Y., Dong, J., & Li, T. (2018). A multi-proxy record of environmental changes during the Holocene from the Haolaihure Paleolake sediments, Inner Mongolia. Quaternary International, 479, 148-159. Maleski, J. J., & Martinez, C. J. (2018). Coupled impacts of ENSO AMO and PDO on temperature and precipitation in the Alabama-Coosa-Tallapoosa and Apalachicola-Chattahoochee-Flint river basins. Int. J. Climatol, 38, e717-e728. Mirchi, A., Watkins, D. W., Engel, V., Sukop, M. C., Czajkowski, J., Bhat, M., Rehange, J., Letson, D., ... & Weisskoff, R. (2018). A hydro-economic model of South Florida water resources system. Science of The Total Environment, . Nicholson, S. E., Funk, C., & Fink, A. H. (2018). Rainfall over the African continent from the 19th through the 21st century. Global and Planetary Change, . O'Connell, C. S., Carlson, K. M., Cuadra, S., Feeley, K. J., Gerber, J., West, P. C., et al. (2018). Balancing tradeoffs: Reconciling multiple environmental goals when ecosystem services vary regionally. Environ. Res. Lett., 13(6), 064008. Pau, S., M. Detto, Y. Kim, C.J. Still. Tropical forest temperature thresholds for gross primary productivity. Ecosphere 9:e02311. Petrick, B., McClymont, E. L., Littler, K., ... Shevenell, A. E., et al. (2018). Oceanographic and climatic evolution of the southeastern subtropical Atlantic over the last 3.5 Ma. Earth and Planetary Science Letters, . Robbins, L. L., & Lisle, J. T. (2018). Regional Acidification Trends in Florida Shellfish Estuaries: a 20+ Year Look at pH, Oxygen, Temperature, and Salinity. Estuaries and Coasts, 41(5), 1268-1281. Rovai, A. S., Twilley, R. R., Castañeda-Moya, E., Riul, P., Cifuentes-Jara, M., Manrow-Villalobos, M., et al. (2018). Global controls on carbon storage in mangrove soils. Nature Clim Change, 8(6), 534. Sarmiento, J. P. (2018). What is the post-2015 development agenda? A look from the underlying disaster risk drivers. Disaster Prev and Management, 27(3), 292-305. Sato, K. N., Powell, J., Rudie, D., & Levin, L. A. (2018). Evaluating the promise and pitfalls of a potential climate change-tolerant sea urchin fishery in southern California. ICES J Mar Sci, 75(3), 1029-1041. Song, C., Dodds, W. K., Rüegg, J., ... Kominoski, J. S., et al. (2018). Continental-scale decrease in net primary productivity in streams due to climate warming. Nature Geosci, 11(6), 415. Song, J., Fu, X., Wang, R., Peng, Z. - R., & Gu, Z. (2018). Does planned retreat matter? Investigating land use change under the impacts of flooding induced by sea level rise. Mitig Adapt Strateg Glob Change, 23(5), 703-733. Them, T. R. I. I., Gill, B. C., Caruthers, A. H., ... & Owens, D. D. (2018). Thallium isotopes reveal protracted anoxia during the Toarcian (Early Jurassic) associated with volcanism, carbon burial, and mass extinction. PNAS, . van Woesik, R., Ripple, K., & Miller, S. L. (2018). Macroalgae reduces survival of nursery-rearedAcroporacorals in the Florida reef tract: Macroalgae suppresses coral survival. Restor Ecol, 26(3), 563-569. Wahl, T., Brown, S., Haigh, I. D., & Nilsen, J. E. O. (2018). Coastal Sea Levels, Impacts, and Adaptation. Journal of Marine Science and Engineering, 6(1). Wurl, O., Bird, K., Cunliffe, M., Landing, W. M., Miller, U., Mustaffa, N. I. H., et al. (2018). Warming and Inhibition of Salinization at the Ocean's Surface by Cyanobacteria. Geophys Res Lett, 45(9), 4230-4237. Xiao, H., Wang, D., Medeiros, S. C., Hagen, S. C., & Hall, C. R. (2018). Assessing sea-level rise impact on saltwater intrusion into the root zone of a geo-typical area in coastal east-central Florida. Sci Total Environ, 630, 211-221. Yang, H., Gunzburger, M., & Ju, L. (2018). Fast spherical centroidal Voronoi mesh generation: A Lloyd-preconditioned LBFGS method in parallel. Journal of Computational Physics, 367, 235-252. Zimmerman, J. K., Hogan, J. A., Nytch, C. J., & Bithorn, J. E. (2018). Effects of hurricanes and climate oscillations on annual variation in reproduction in wet forest, Puerto Rico. Ecology, 99(6), 1402-1410. Zscheischler, J., Westra, S., van den Hurk, B. J. J. M., ... Wahl, T., et al. (2018). Future climate risk from compound events. Nature Clim Change, 8(6), 469-477.